The gender perspective is relevant for about every aspect of life and society. It changes the way we do things. This is to everyone’s benefit, not only to the benefit of people who are usually at a disadvantage. It also helps reducing levels of violence – from inter-personal violence to armed conflict – as well as making the society more inclusive and just for all. Having a gender perspective on paid and unpaid labor increases productivity and sustainability. And there is more: the gender perspective has a positive impact on the protection of the environment: it mitigates effects of climate change and has proven effective when working to counter climate change, pollution, bio-diversity loss and deforestation on local levels. Gender perspectives are useful on all levels: in a family; a company; a school; a local community; on national level; EU level and in international bodies. Everyone can do something. Once you start to apply a gender perspective to your situation you might find it hard to stop! I promote having gender perspectives on these important things in life. Going from that, I have experience with, and gathered extensive knowledge about, violence and conflict; poverty; sustainable development; environment and climate change; national and local budgets; management and recruitment and more. This has made me an expert in making gender analyses on the most varied topics. Please look at the About section to learn more about what I can do. I want to share my expertise in two ways. The first one is by making myself available as a freelance consultant. 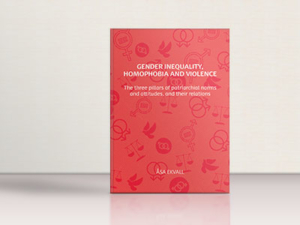 And the second one by sharing (public) research and reports on gender inequality; gender and violence; masculinities; gender and environment; and gender budgeting and analysis. Apart from the data mentioned before, the only data collected are the data you intently leave on the contact page of this site. These will only be used for communication purposes and will not be shared with any third parties. If you want me to delete those just let me know through the contact page and I’ll do so.